9818 place | Vector illustration in rank M-rank: Persian carpet, tribal vector texture. Easy to edit and change a few colors by swatch window. 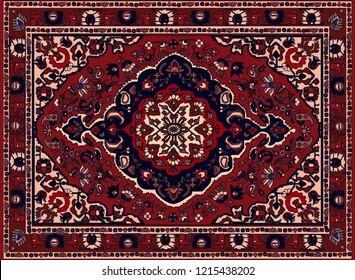 Persian carpet, tribal vector texture. Easy to edit and change a few colors by swatch window.